I’m quite experienced graphic designer, but relatively new to type design. Hope to submit the next update to Google fonts. I plan to use interpolations in the future, to provide more weight and italics, but not any time soon. I'm not sure if that Mongolian sample is even remotely Mongolian. That's Croatian, if I'm not mistaken. The letter widths strike me as a bit unbalanced; /e/a/s are rather wide and /m is narrow. There are many choppy curves, especially inside the counters of /g etc and and in /a. Get SpeedPunk or RMX Harmonizer to help. The /a/s/S are strangely gooey designs amidst the otherwise rational typeface. They could use some sobering up. The /Q's tail is a bit timid. The top of /f is very compressed; maybe lower the crossbar a bit below the x-height (and for /t as well). The ogonek under the A is reversed. Some ogonek tips here: Polish Diacritics: How to? Others will give you various pieces of good advice, but the following seems to be my purview: making the descenders and ascenders the same length might seem intuitive, but it goes against the ideal use of vertical space, since descenders are far less frequent. 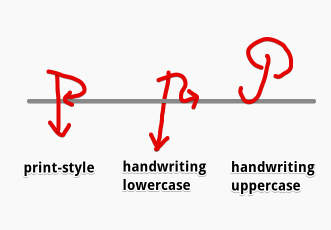 This is the case, and is why ascenders are often taller than descenders are deep, and taller than caps, which also helps distinguish l from I in sans serif types. But it is also the case that the descender length has a fixed minimum that is determined by the g, which must not appear too cramped. Meanwhile, among the ascenders, only the f presents a similar but less acute issue, so the ascenders have more freedom than the descenders. This means that if one's goal is to create a type with restricted extenders, e.g. to enable tighter linespacing, one way to do that is to make the ascenders shorter relative to the descenders than traditional Latin proportions. the descender length has a fixed minimum that is determined by the g, which must not appear too cramped. Agreed. It must feel a little cramped. :-) For the whole to be happier. In a monocular "g" this mostly comes in the form of the top bowl floating above the baseline. This means that if one's goal is to create a type with restricted extenders, e.g. to enable tighter linespacing, one way to do that is to make the ascenders shorter relative to the descenders than traditional Latin proportions. — Linespace economy is integral to any text face; it's not only about avoiding collisions across lines in extreme cases. Any space squandered on descenders takes away from apparent linespacing (a parameter as overlooked as it is important) harming line returns during reading. — A cramped "g" is far less problematic to a reader –not least due to relative rarity– than to a type designer who might be too focused on formalism. — Boumas are real* and this means ascenders –especially thanks to their much greater frequency, even if they're mostly just sticks, unfortunately– play a very important role in distinguishing from x-height–only characters. To be fair, I could imagine rare cases where the descenders should be longer. But making them exactly equal is a sure sign of "defaulting" instead of analyzing the problem. As an aside, it's one of the flaws in Gerrit Noordzij's œuvre (and sadly is often passed down to his grandstudents). Wow. Thanks a lot, guys. I think it was the most helpful feedback ever! I will carefully go through every comment of yours once again as soon as I have some free hours. Compared to other languages of which data are readily available, English could be considered mid-table in terms of ‘g’ frequency: In some Slavic languages (e.g., Czech) and many Romance languages (e.g., French, Italian, Spanish), ‘g’ is less frequent than in English. In other Germanic languages (e.g., German, Danish, Dutch), however, it is more frequent. Icelandic is, I think, the Germanic language with the highest ‘g’ frequency. Outside the Indo-European realm, ‘g’ ranks fairly high in Tagalog (spoken in the Philippines) and Vietnamese. And that’s just a random selection from hundreds of languages and dialects that use the Latin alphabet. Given these differences, ‘relative rarity’ seems painted with a too-broad brush. It’s an important and potentially frequent letter, and I think that decisions regarding its design should not be based on its (presumed) frequency (excluding cases in which custom typefaces are specifically designed for texts in a certain language). Given the initial motive to provide Cyrillic support, it seems to me the Cyrillic needs a lot more work, both in terms of details and overall proportions. But a more qualified, native designer should give a proper critique. decisions regarding its design should not be based on its (presumed) frequency (excluding cases in which custom typefaces are specifically designed for texts in a certain language). Since you don't know what languages your typeface will be used for, you have to account for typical/average use, and naturally that means classing English above Tagalog for example; anything else is a disservice to users, hence anti-design. Now, does that open the door to typefaces specifically designed for (or at least skewed towards) particular languages? Very much so, and I've long been a big fan of that. But lacking for example a brief that specifies heavy usage of Tagalog, it's not wise to simply let the "g" have run of the house. I feel like there's a vertical tension. When the screws are tight on the top and loose on the bottom, or vice-versa, it looks imbalanced. If a typeface has a sprawling lowercase f hook and generous capital accents, it looks odd to me when the descenders are crushed to maximize legroom. Compact, screwed-tight typefaces suit compact, screwed-tight descenders. Loose, freewheeling typefaces suit loose, freewheeling descenders. I consider frequency less as a consideration for choosing ender lengths and more of a rationalization. If you test with a bunch of words that have more descenders, does that make the descenders look different? There's a certain length that feels like the right balance with other vertical aspects. You often use the term anti-design. From context it doesn't seem like you're talking about the anti-modernist movement. I don't want to pick a fight, I just honestly don't know what you mean when you use that term. You often use the term anti-design. From context it doesn't seem like you're talking about the anti-modernist movement. By that I mean anything that comes at the expense of the user, as a rule resulting from satisfying something relevant to the creator; in the case of making descenders and ascenders equal, satisfying the creator's desire to not worry about a difference. BTW to me Modernism is actually anti-Design* because it fans the ego of the creator with an illusion of control that harms the user. * Pardon the previous lack of capitalization. Thanks Christian! I feel like you've looked at my font very deeply and you've pointed out exact details I was considering. 3. Sobering-up: you are right. Actually I wanted it to be a bit cool, a bit quirky. Keep it rational, but have some little cool details that make all the difference... Do you feel it's too much ...? 4. Weight distribution. Thanks for pointing out, I'll fix it. 5. Lower bar in t & f. Good idea, I will give it a try! Vertical space: I see your point. 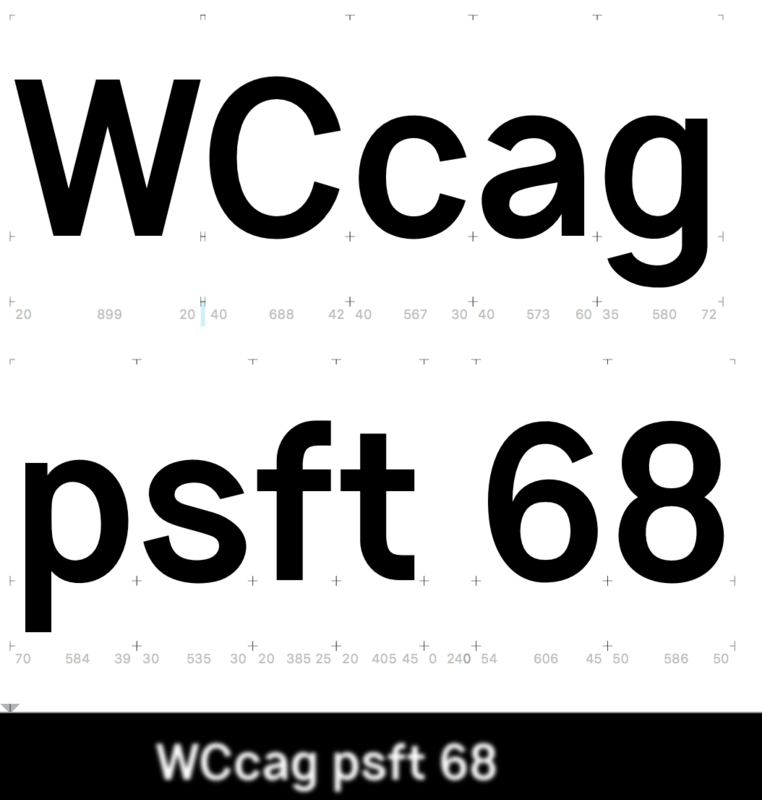 Yeah, I see that /g/p descender lengths are inconsistent in my font. I'll give it a try. Ruble: interesting detail. I believe it comes from Early Cyrillic Alphabet. Where it's indeed rounded. But from another hand, modern er writes with sharp left corner. My native language is Russian and I've studied calligraphy back in the school. The way stroke goes usually leaves the left top corner sharp, thus rounded one feels a bit unnatural to me. How do you think? Sadly, I'm agree with you. I'm a native Russian speaker myself, but turned out I have much more experience working with latin fonts. And all of my ideas were for the latin letters. Generally, I don't like most of the fonts with Cyrillic support. Myriad Pro and Roboto are the only fine ones in my opinion. So I thought I'll fix it. But when I've done with my font, I had the same feeling: that's it's just a latin font with very basic Cyrillic support. It doesn't feel like complete Cyrillic font somehow. And I've received no feedback on Cyrillic letters at all. Not quite sure how to fix it for now. I'd appreciate any advice or reference. This talk might be of some use to you. The Serbo-Croatian Cyrillic alphabet does not use the letters Өө /ö/ and Үү /ü/, whereas the Mongolian Cyrillic does. Perhaps it's a Croatian sentence with some letters switched for the Mongolian specific ones? Google translate couldn't translate that sentence (though it recognized it as Mongolian - probably because of those letters) nor did Google return any results for it. My native language is Russian and I've studied calligraphy back in the school. The way stroke goes usually leaves the left top corner sharp, thus rounded one feels a bit unnatural to me. How do you think? I certainly admit that the sharp top-left is today's normal. But I also feel making it round is an opportunity to make it more Russian, both historically and simply by being less Latin. Doing so to the Er is usually too extreme, but the Ruble being a young, secondary symbol distinctly tied to Russia (as opposed to other Cyrillic-using nations) is a modest place to exhibit this fruitful divergence. I certainly admit that the sharp top-left is today's normal. But I also feel making it round is an opportunity to make it more Russian, both historically and simply by being less Latin. Hrant, at some point you have to let the Russians decide what looks properly Russian. That's a degree of nationalism too rich even by my tastes. There are no pure Russians, and we're all in this together. In fact being an outsider often allows one to see things more objectively. Your Armenian design efforts for example are most welcome. Oh. Sorry, I already fixed it quickly. That was an embarassing mistake. That 6 looks unbalanced, falling to the left. Weight is certainly more consistent now; hard to be sure in such a small sample, though. The designs of /a/s still look very funky to me, and the curves are not smooth yet. The interior contour of /g/p has acquired a strange asymmetry, which looks especially strange in /p where it goes against humanist expectations.